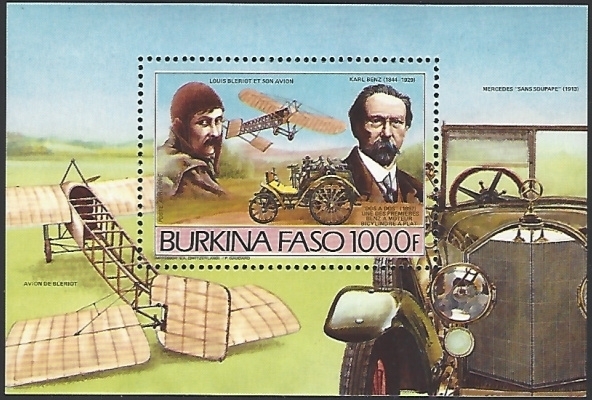 What is the Scott catalogue number of this Burkia Faso Souvenir Sheet? Did you try the tips explained in your request for ID of the Lesotho souvenir sheet to try to ID this one? Your Tips are a big help Michael. I would add also, look for the time period when the face value on the sheets changed from 500f to 1'000f. It is one of the very first sheets listed with that change Approx. 1985. If we keep feeding them, they'll never learn how to fish. I'm 75 and still learning "how to fish". LOL. But it would be nice if those asking for the help would also thank those who give them the information. After all, most asking for stamp IDs are doing that so that they can list their items for sale and make money. We are doing their work for them, and taking our time when we could be listing things for sale.instead. Yes, a bit snarky, but those asking for help need to be appreciative of the effort others are putting in for them, and they need to learn to do the work themselves. After all, they aren't offering to give anyone a percentage of the sale. Plus while help is usually given, a seller shouldn't come to expect or rely on it. Michael, I agree with what you say, but, I wonder about newbies who may need a little help. I guess it depends on what they do with the info. In this thread where I gave a Scott number I would HOPE that the questioner would go to a Scott catalog and find out WHY I gave that number. How did HE miss finding it? But, as I say, I get what you are saying. As you say, we can only "Hope". Michael, he even forgot to say, "thank you". "Forgot"? I guess you don't have to say, "Thank you", if you first don't say, "Please".